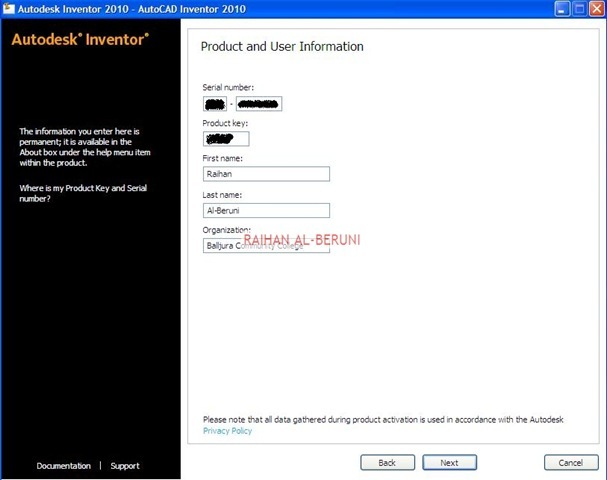 Insert AutoCAD 2010 or Inventor 2010 Disk1 into DVD or convert DVD into ISO and mount it with server’s DVD if you are virtualizing license server. 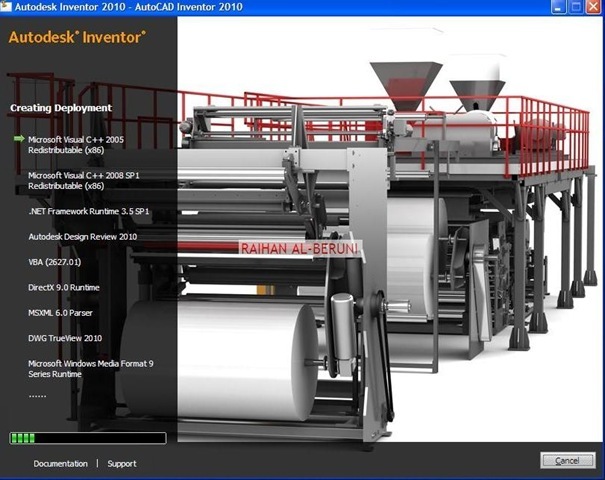 In the AutoCAD Installation wizard, click Install Tools and Utilities. 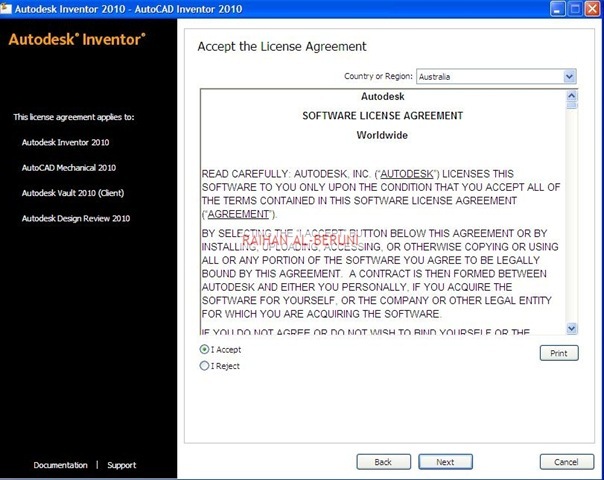 On the Select Autodesk Network License Manager and click Next. On the Configuration Complete page, click Configuration Complete to return to the confirmation page. When the Installation Complete page displays, click Finish. Obtain a license file from vendor before config. In the Lmtools program, on the Service/License File tab, make sure the Configure Using Services option is active. Click the Config Services tab. In the Service Name list, select the service name you want to use to manage licenses. By default, the service name is FLEXnet Service 1. 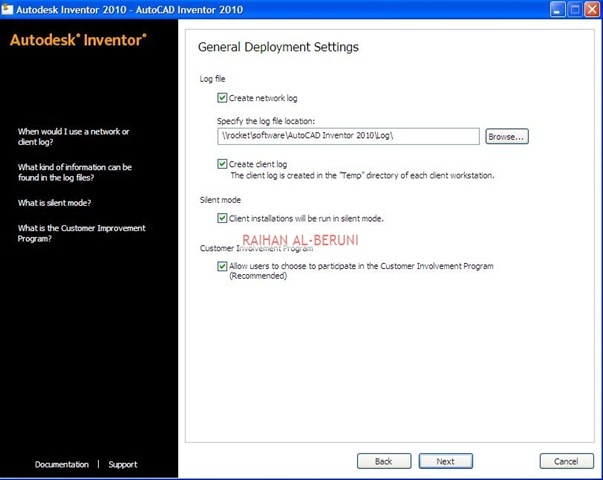 If FLEXnet® is managing other software on your computer in addition to Autodesk, you can change the service name to avoid confusion, for example, you can rename FLEXnet Service 1 to Autodesk Server1. In the Path to Lmgrd.exe File field, enter the path to the Network License Manager daemon (lmgrd.exe), or click Browse to locate the file. 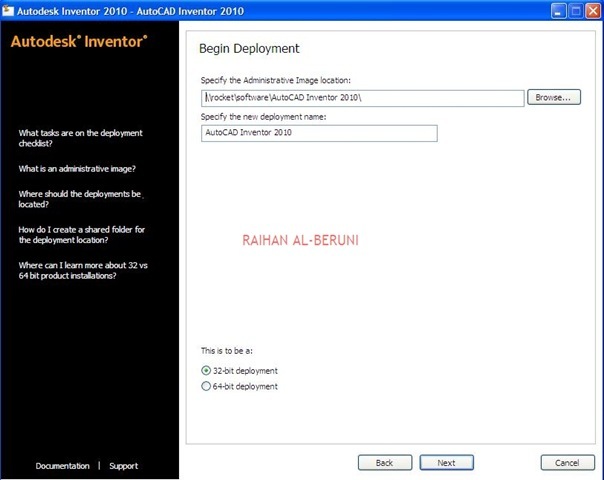 By default, this daemon is installed in the C:\Program Files\Autodesk Network License Manager folder. In the Path to the License File box, enter the path to your license file, or click Browse to locate the file. In the Path to the Debug Log File box, enter a path to create a debug log, or click Browse to locate an existing log file. 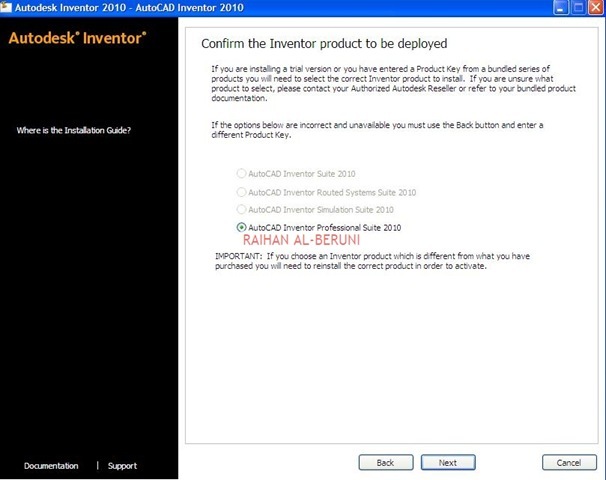 It is recommended that you save to the \Program Files\Autodesk Network License Manager folder. The log file must have a .log file extension. For new log files, you must enter the .log extension manually. To run lmgrd.exe as a service, select Use Services. To automatically start lmgrd.exe when the system starts, select Start Server at Power Up. Click Save Service to save the new configuration under the service name you selected in earlier step. Click Yes when prompted if you would like to save the settings to the service. 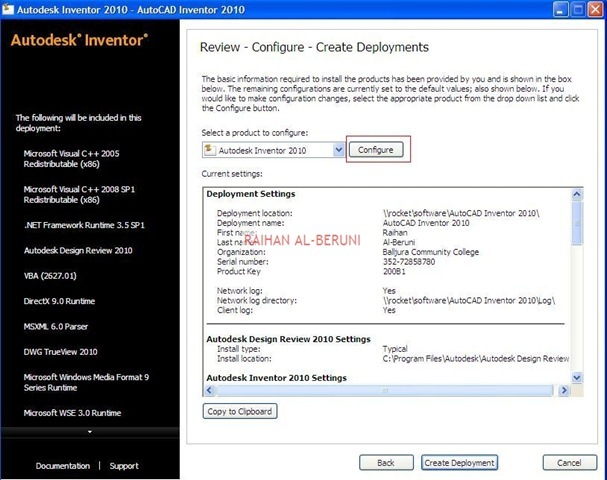 Click the Start/Stop/Reread tab and do one of the following: If a service has not yet been defined for Autodesk, click Start Server to start the license server. 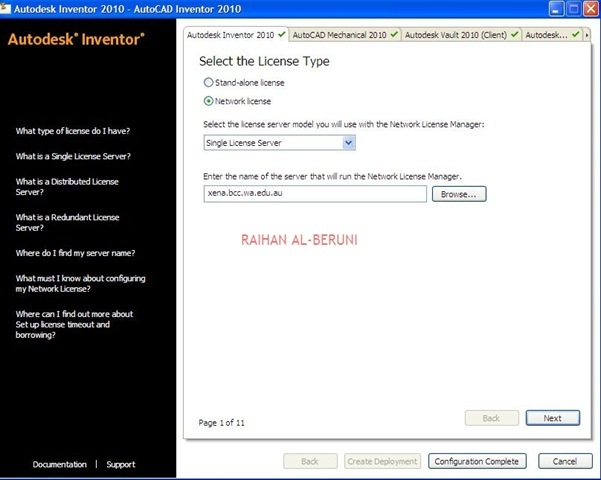 If a service for Autodesk is already defined and running, click ReRead License File to refresh the Network License Manager with any changes made to the license file or Options file. The license server starts running and is ready to respond to client requests. Note: You must create deployable Admin package in UNC path. Log on to a client machine as an Admin. open command prompt. and click New ➤ Package. (acad-<deplolyment name>-for-GPO.msi) is selected, and click Open. <deployment name> for the name of the deployment used as the basis for this GPO package. On the Modifications tab, click Add. In the Open dialog box, click the transform package file (acad-<deployment name.mst) created by the Deployment wizard, and then click Open. 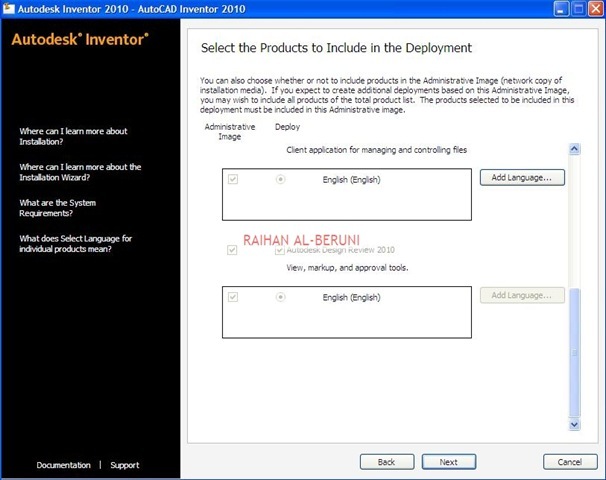 If you created the administrative image in a location different from the application distribution share point, find the administrative image location and select the transform package file (acad-<deployment name.mst).